We are always looking to build new relationships with local and national businesses who have synergy with our vision. We primarily do this through partnerships on Mayfest, Bristol’s biennial festival of contemporary theatre. Although there are lots of other projects and initiatives that we work on year round that may also fit with your brand or ethos. Get in touch to find out more and read on to find out more about Mayfest partnerships. 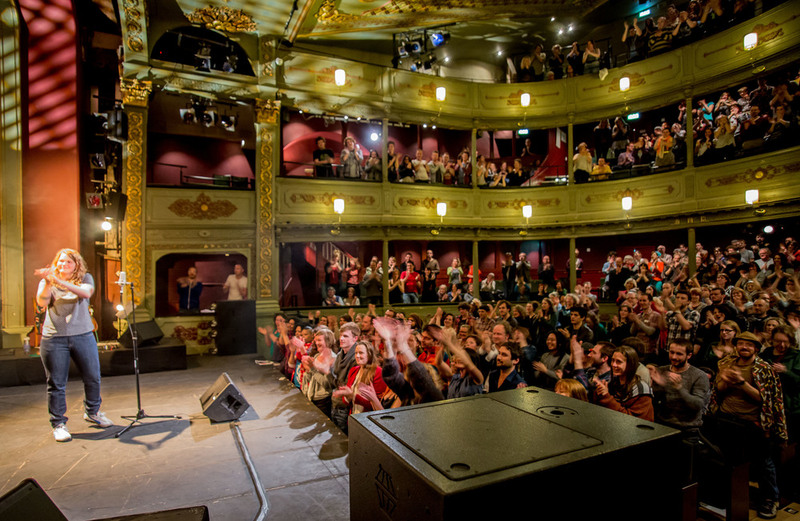 Mayfest is an internationally renowned theatre festival with a uniquely local flavour. Every two years, in May, Bristol comes alive with the very best local, national and international theatre. From specially constructed hotels on the harbourside to intimate one-on-one performances in cars at the top of multi-storey carparks, to gigs, parties and mind-blowing dance, theatre and circus, it’s eleven days of pure magic, not to be missed. From the Georgian splendour of Bristol Old Vic to Circomedia’s beautiful church on Portland Square, to the Tobacco Factory Theatres, Arnolfini, Trinity, Wardrobe Theatre, Cube and various nooks and crannies around the city, Mayfest entertains, excites and engages in a multitude of spaces. With an eclectic mix of local and international performers and shows, the festival pushes the boundaries of the conventional theatre goers experience. Mayfest is a festival for Bristol with an international reach. Mayfest’s audience are a broad spectrum of culturally aware adventure seekers, currently ranging, but not limited, to 18 to 35 year olds. Our research tells us that our typical attendees enjoy new experiences, love theatre, live music, contemporary art and cinema. They are sociable, curious and creative, follow the latest trends and occasionally set new ones. 60% of our audience is from Bristol, 20% from Bath and North East Somerset and 20% from across the UK and international. We are constantly exploring new ways to expand our reach and invite new audiences to engage with Mayfest, no matter their age. We believe in the potential of art to be life-changing, political, transformational and to make the world a better place to live. We believe theatre can do this in both subtle and dramatic ways. We believe passionately in the power of liveness, that nothing is substitute for the collective action of being in the same space at the same time. Our wish is to partner with companies that match our vision and have an interest in culture, the arts, sustainability, good living and innovation. We have previously partnered with: Aperol Spritz, Triodos Bank, Pukka Teas, Colston Hall, Mark’s Bread, Hart’s Bakery, Extract Coffee and Bath Ales. Now we hope you will consider joining us too. From time to time we also offer sponsorship packages for other MAYK projects. If you would like to find out more, please contact us.